An easy-drinking American IPA by the people, for the people! 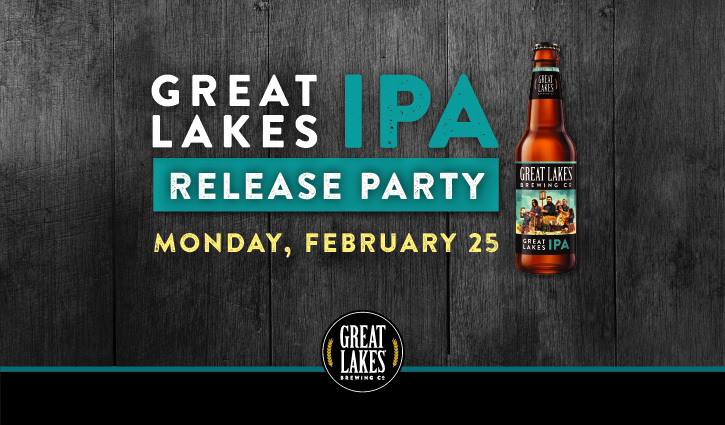 Meet us at the brewpub as we celebrate the release of our newest year-round brew, Great Lakes IPA! To celebrate our family of employee-owners, we crafted a lightly filtered, citrus-forward IPA that’s as bright and approachable as our crew. Pull up to the bar and let us share the great taste of a hard day’s work! Brewed with lemon peel, Simcoe, Mosaic, Azacca, and Lemondrop hops. Follow us on Facebook, Twitter, and Instagram for more updates on Great Lakes IPA.